Specializing in assets with a circular life cycle. While TrackAbout works for any business that manages physical assets, we are especially good with reusable, returnable assets. These assets are typically owned and maintained by one company but used by many others. 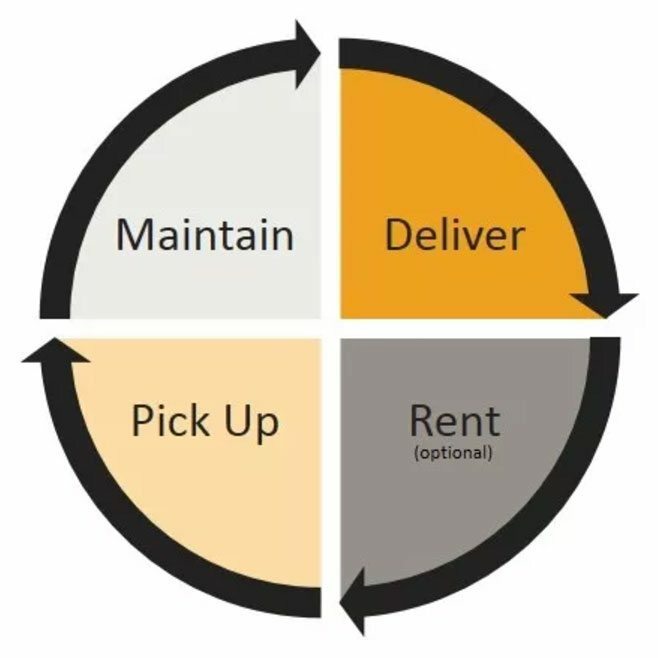 Most physical assets have a circular life cycle — they are delivered, returned and have maintenance performed before being delivered again. Sometimes they are rented. For businesses managing these kinds of assets, TrackAbout asset inventory software increases efficiency, accuracy, visibility, validation and accountability. We serve customers managing fleets of roll off containers, returnable packaging, gas cylinders, home medical equipment, IBC totes and other containers, beer kegs and small tools and equipment including rental equipment. TrackAbout asset tracking services can be used by a variety of businesses including small & medium businesses, all the way up to enterprise corporations. Several universities use TrackAbout to track a variety of assets that move within their sites, while maintenance facilities track activities performed on equipment.